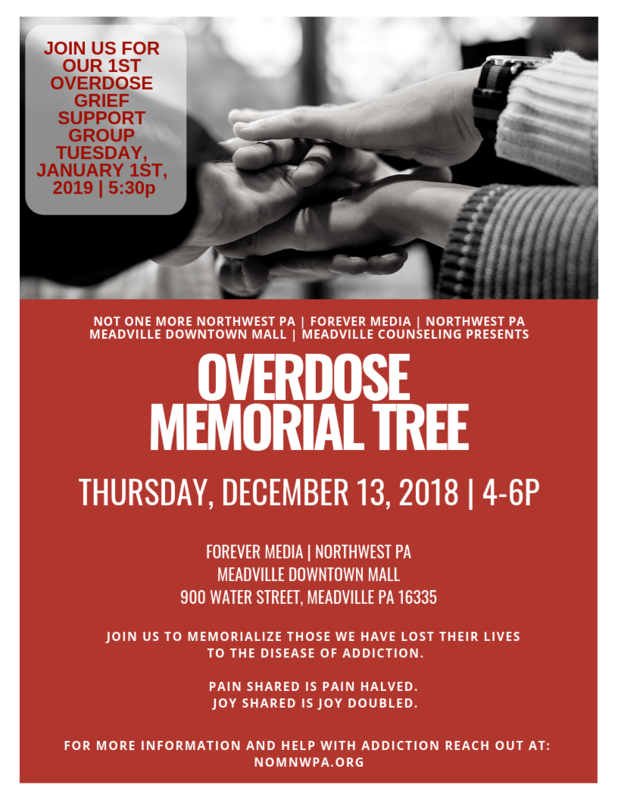 We are pleased to partner with Rockin’ Rich of Forever Media and Jamey Huselton of Meadville Counseling Center and French Creek Community Church to offer the Overdose Memorial Tree at the Downtown Mall Meadville again this year. 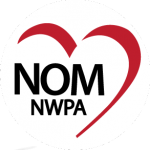 Join us to memorialize those lost to the disease of addiction. There will be resources, and ornaments that you can put your loved ones names on to remember them. 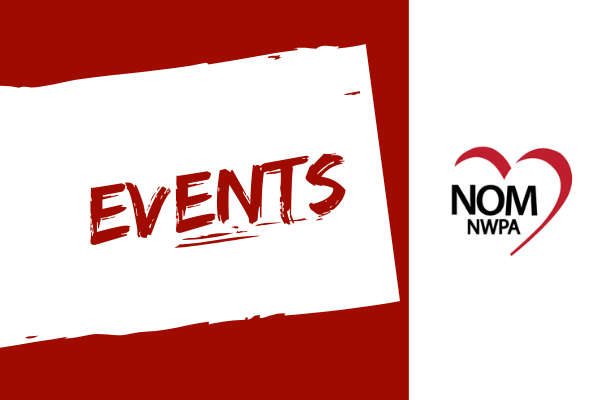 See the event at Overdose Memorial Tree. Also join the Not One More Overdose Grief Group embedded below.